Cream City celebrates weddings of all sizes! Milwaukee County Courthouse weddings, intimate weddings, backyard weddings or even pop-up weddings at popular Milwaukee sites are as unique as the large traditional weddings for which we provide wedding photography. Now, in an effort to make planning your intimate event easier, Cream City is offering a limited floral service for its clients. For just $100, when paired with photography coverage (normally $150), you can receive a custom made bouquet and matching boutonniere. 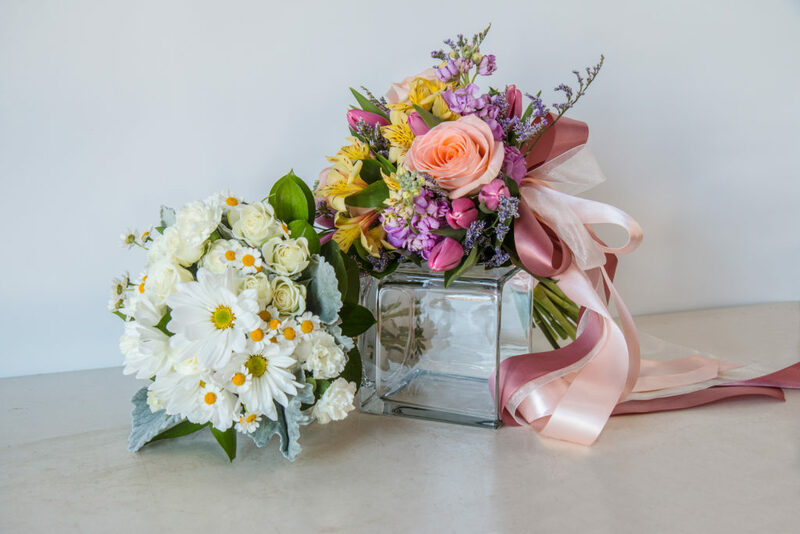 Our floral arrangements come in two options, white or seasonal color. Both are designed by the award winning florists at Belle Fiori on Milwaukee’s east side. They’ll pick the best seasonal flowers for your bouquet and Cream City will deliver them directly to you before your wedding. No matter the size of the wedding it should be celebrated by documenting the day with professional photo services and by adding a touch of beauty that only flowers can bring. Our two intimate wedding packages are available Monday-Friday. If your intimate weddings is on a Saturday, please contact us for a quote. One hour of photography by a Cream City Certified photographer at the Milwaukee County Courthouse or other Metro Milwaukee location. A bouquet and boutonniere of your choice: choose a colorful fresh seasonal flower palette or a traditional all-white palette. We’ll even deliver right to your ceremony! Up to two additional hours of photography for portraits on location may be added at $99 per hour. To book your intimate wedding photography package, please contact us.